Kasargod June 16, 2016 : A man along with his friends had been to Uppala beach on June 14,Tuesday while playing in water he drowned. His body was recovered on June 15, Wednesday at Shiriya Beach in Kumble. The person drowned is identified as Puttappa. 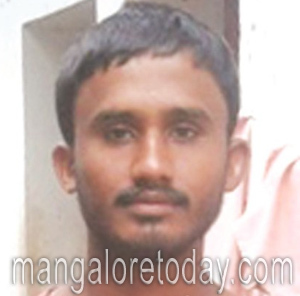 He was 22years, resident of Havalli in Haveri District. Puttapa was concrete worker, stayed in a rented house in Uppala. It is learnt that on Tuesday Puttappa with his four friends had been to beach in Uppala. They were enjoying and playing in water. Suddenly friends noticed him drowing and tried to rescue but could not . On information the fire personnel reached the spot immediately, searched for the body till night but of no use. The body was recovered in Shiriya beach on Wednesday. The body was shifted to Mangalpady Hospital and later handed over to the family. The case has been registered in Manjeshwar police station.